PESHAWAR: A local court on Monday dismissed bail petition of six persons including a prayer leader and members of a jirga charged with giving a female in swara to a rival family for settling a dispute. The court presided over by Additional District and Sessions Judge Muneera Abbasi observed that the petitioners were charged in a heinous offence, which was non-bailable and thus they were not entitled to be set free on bail. The accused persons – Mohammad Zaman, Idrees Khan, Khan Mast, Laes Khan, Riaz Khan and a prayer leader Maulvi Mohammad Kareem – were arrested few days ago by officials of Badhber police station after an FIR was registered against them under section 310-A of Pakistan Penal Code, which prohibits giving females to rival families for settling feuds. 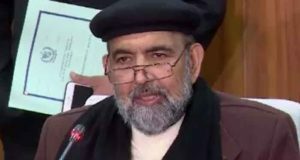 The said case was registered after publication of a story in a local newspaper wherein it was alleged that the jirga had been planning to give the girl, Maryam, to a rival family in marriage so as to settle a dispute. The said dispute had allegedly originated after a female of the area had eloped with the brother of the girl named Imran. The said girl was already engaged to her cousin, Tariq Khan. The police alleged that a jirga was convened to discuss the issue and it was decided that sister of Imran should be married to Tariq so as to resolve this issue. While the jairga was holding deliberations, the local police raided the area and arrested the six accused persons. 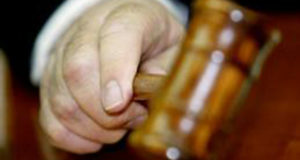 Earlier, the bail petition of the accused was dismissed by court of a judicial magistrate. The alleged victim also appeared before the court and stated that neither she was given in swara to any person nor was her marriage organised by any jirga. She claimed that it was wrong to suggest that she had been a victim of swara. The counsel appearing for the accused persons argued that following the statement of the alleged victim there was no justification left for keeping the petitioners behind the bars. He argued that the jirga had never taken the decision to give the girl in swara to the rival family. He stated that the police had registered the FIR merely on the basis of a newspaper report, which was an injustice to them. He further argued that how the petitioners could be arrested for an offence which had never taken place.